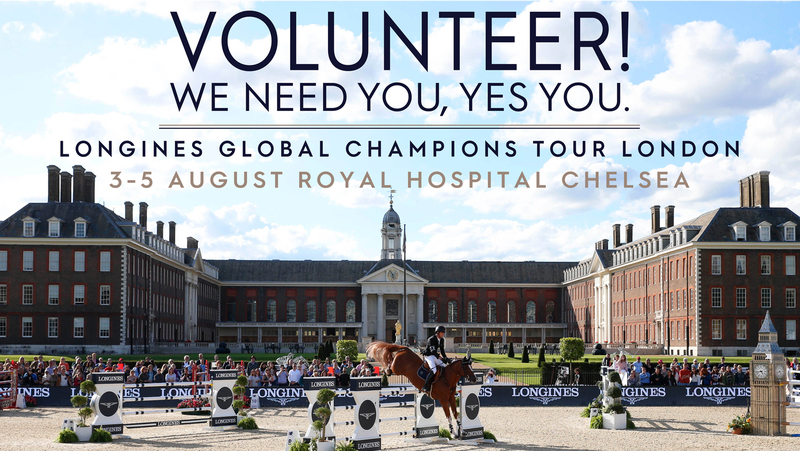 We are looking for bright, bubbly and confident individuals who are friendly, who share a passion for show jumping and want to help make the Longines Global Champions Tour of London a huge success. We ask our volunteers to help at a number of positions across the showground, these might be at horse crossing points, greeting the public, working in the stables area, distributing start lists and programmes amongst many more. Our volunteers are important to us – they are often the first face that the public see – and we strive to make their role at the Show as enjoyable for them as possible.